Homemade brown gravy provides a superior flavor to store bought gravy or gravy made from a mix. It's easy and quick to make. This is a guide about making your own brown gravy. 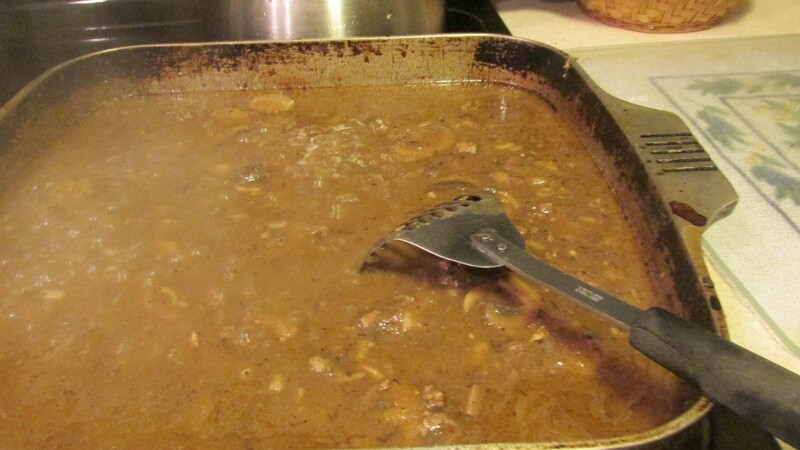 If you like beautiful brown gravy you will love this receipe. Use all purpose flour or self rising it does not matter. In a small sauce pan measure out the amount of flour you will need and turn the burner on low. (Keep a close eye on it not to burn!) Stir constantly until flour has a nice light to medium brown color. I like to sift it to ensure no lumps. Pour the flour into a large measuring bowl, add very hot water and stir making sure there are no lumps. You will find that it smells like chocolate. Pour the mixture into your meat essence, and season to taste. You will have really dark brown gravy that your whole family will love, and you did not get it from a can. Enjoy! Just brown flour in fry pan, no grease. Slowly add enough broth to make it as thin as you like, stir with whisk. Add spices and simmer for 5 minutes. I have a hubby who loves hamburger, he would eat it every meal if I let him. Besides the regular burger on a bun, this is one of his favorite recipes. When you roast meats and use onions, celery, garlic and carrots to enhance the flavor, be sure to save all those veggies for when you make gravy. Just push them through a sieve and after defatting the pan juices, add those "pureed" veggies back to the natural meat juices (au jus). 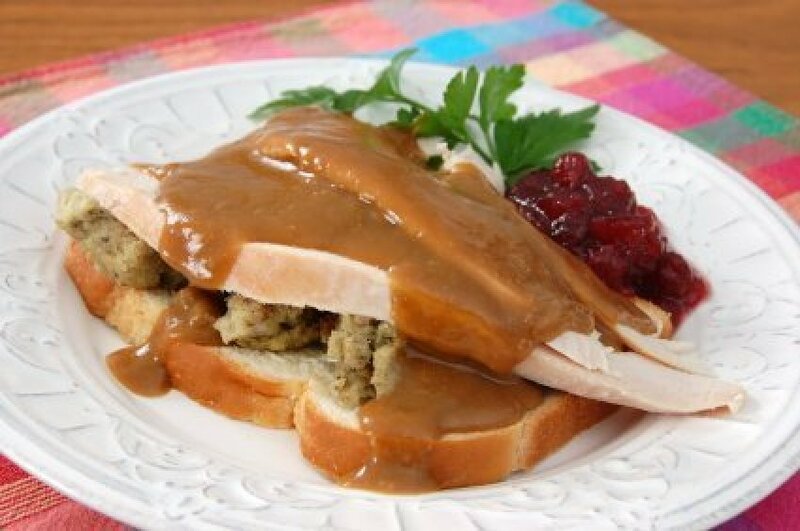 Very often, you will not need to add flour or corn starch to thicken the gravy. It will be thick enough with just the addition of the veggies. What a wonderful flavor it will have, too, especially if those veggies have a little caramelization going on with them. You will not be adding more calories either which is another plus for all of us. I learned how to make homemade gravy from my Mom & Grandmother, and their gravy is what made the "Dinner." Whatever meat you have roasted, braised, browned and has some residue or drippings can be a base for gravy. When making a roast, place dry onion soup mix in the bottom of your roaster pan. After removing the roast, add 1 can of mushroom soup and you will have a good brown gravy.